The axing of Japan's Sunwolves from Super Rugby will damage efforts to promote the sport in Asia, the team's chief executive said Saturday. The team were introduced in 2016 to bring rugby to new markets, but SANZAAR said it wasn't prepared to bankroll the perennial wooden-spooners after Japan's rugby board withdrew financial support. "It's obvious that we have the responsibility to expand rugby in Asia as a kind of leader in Asian rugby," said Sunwolves CEO Yuji Watase. 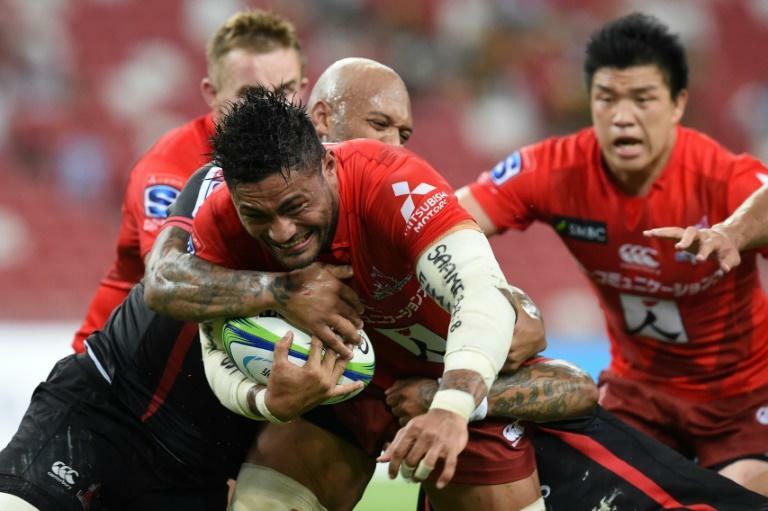 "It is clear that this is going to be quite a kind of damage ... in terms of the promotion of rugby," he told reporters after his team lost to South Africa's Lions 37-24 in Singapore, where the Tokyo-based outfit play some home games. "Personally I'm really sorry about it. But we have to find some other way (to promote rugby) and we have to decide after 2021," he said. Team captain Dan Pryor said the news was "devastating" but that his players remained focused on trying to win games. "We got a goal we got to do this year and next year and the boys are up to to complete that goal," he said. "We will go out there and try to win that game and we look to the next week, and we look to the next week and we look to the next week," he said. The Sunwolves fought valiantly against the Lions but the South Africans proved to be the better team. Lions skipper Malcolm Marx said after the match he was saddened by their rival's departure. "You can see the exciting brand of rugby that they play," he said. "They're a quality side and it's actually very sad." After the Sunwolves' departure, the southern hemisphere competition will return to 14 teams and a round-robin format from 2021, scrapping the unpopular conference system. Teams from South Africa had reportedly disliked the long trips to Tokyo and Singapore for the Sunwolves' home games.